I was thinking about carrot cake the other day, as one does, and started to think about Nando’s. It may sound crazy, that a mass produced cake in a semi-fast food place is one of my favourite carrot cakes, but its seriously good. Yummy moist cake with just the right amount of spice, dreamy frosting and that serving of clotted cream! This post isn’t about carrot cake though! The bread:I normally get it in their bread rolls. As brioche rolls seem to be the burger bread of choice at the moment, I thought I would use them. Strangely enough I couldn’t find them in the supermarket, so decided to make my own. I used this recipe which was easy to follow. They do take a bit longer as they have to be refrigerated and then left to reach room temp and rise. However, this can be worked into your day, I made the dough in the morning, put it in the fridge before I went out and then took them out when I got home and by the time I started to cook the filling they were ready to bake. The side:Before getting the burger ready (and baking the brioche rolls), I put my spicy sweet potato chips in the oven. 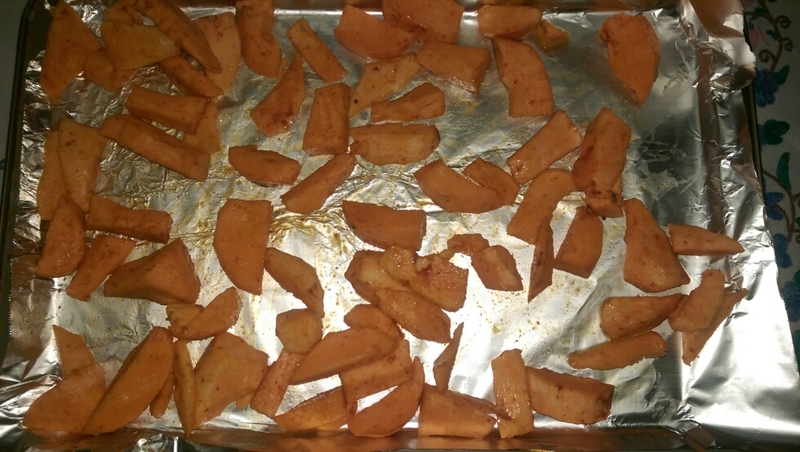 These were made by peeling and chopping 2 sweet potatos, soaking them in cold water (to remove some of the starch) for aprox. 30mins. They were then drained in a collander and dried off with a kitchen towel. They were placed in a bowl and mixed with 3 tablespoons of harissa paste. They were then spread evenly over a tray and baked for 45mins (turning half way through). The vege/cheese:I was tempted to buy a Nandos marinade for my vege, but luckily I came across this recipe from Ramsons and Bramble, which also inspired me to use aubergine in the burger. All ingredients are placed in a bowl and mixed. This marinade is sooo good, I’m so happy I made this instead of using a store bought one. To construct the burger, after slicing the brioche roll, chilli jam was spread over the base and covered with a leafy salad. 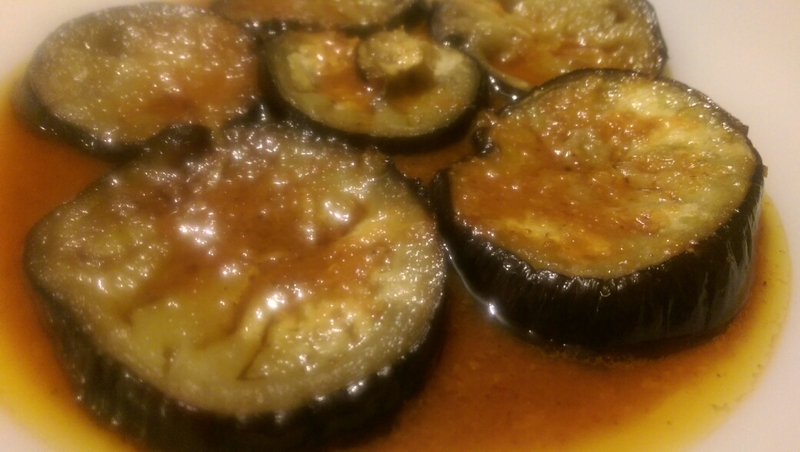 I placed the fried halloumi, a slice of aubergine and the mushroom on top. This was served with the sweet potato chips. 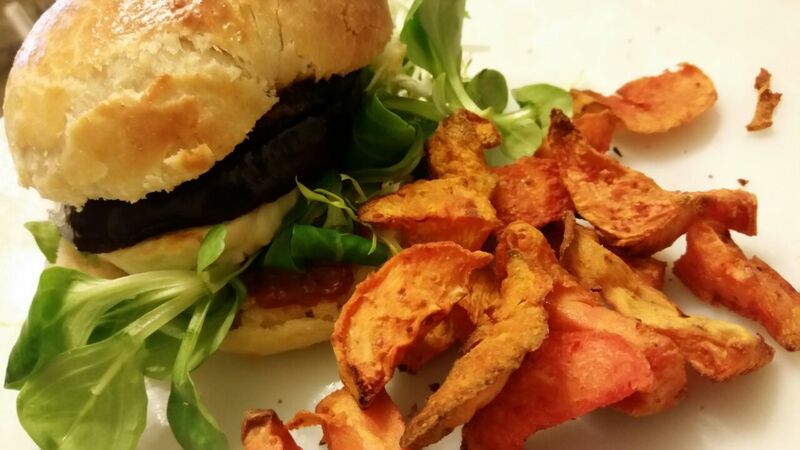 This entry was posted in Bread, vegetarian and tagged aubergine, brioche, burger, halloumi, mushroom, vegetarian on February 28, 2015 by maryambakes. 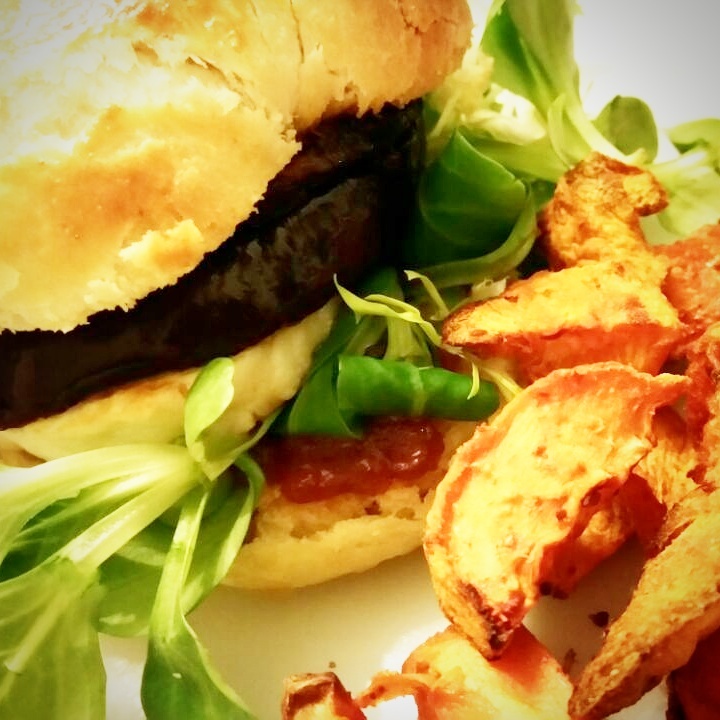 So great to see that you were inspired by my marinade ‘recipe’ – hope you enjoyed the burger as much as I did. 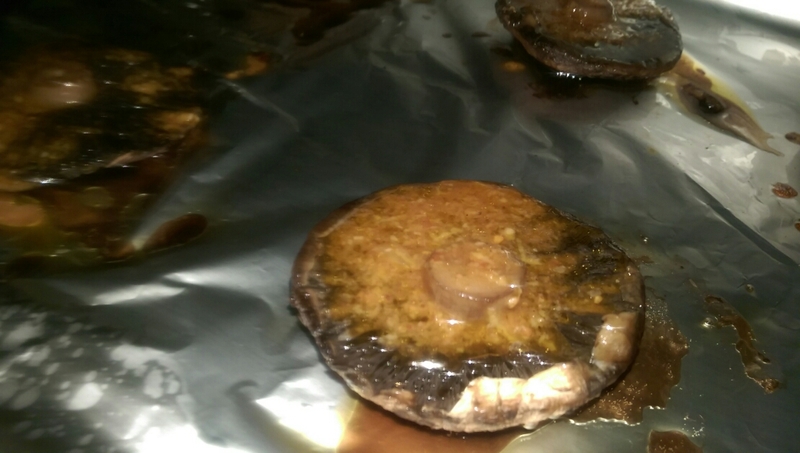 Its such an amazing recipe, the marinade is so delicious and you are so right about a mushroom not being enough to constitute it being a burger! These veggie burgers look so juicy and delicious. Perfect for a sunny Saturday. I’m very impressed with your home made brioche rolls as well. Lol, as soon as I saw the post title I thought of nandos! I love their halloumi and mushroom burger and this looks do good. Love how you made your own marinade and buns too. Will be saving for future use.